EghtesadOnline: Tehran Stock Exchange’s main index gained 1,578.89 points or 1.07% on Tuesday to end trading at 148,577.6. About 3.62 billion shares valued at $89.32 million changed hands at TSE for the day. Ilam Cement Company was the biggest winner, as its shares went up 60.42% to 3,332 rials per share, according to Financial Tribune. Iran China Clay Industries Company incurred the biggest loss among all TSE-listed companies and went down 4.64% to 9,947 rials per share. Mobarakeh Steel Company gave the biggest boost to the benchmark index, followed by Golgohar Mining and Industrial Complex and Chadormalu Mining and Industrial Complex. The Price Index gained 461.76 points to close at 43,446.3. The First Market Index was up 1,913.49 points to post 110,790.5. The Second Market Index shed 458.68 points to reach 289,512.3. The Industry Index increased by 1,351.59 points to register 135.694.6. The Free Float Index was up 2,178.67 points to hit 159,415.05. The TSE 30 went up 108.86 point to settle at 7,268 and the TSE 50 ended 67.38 points higher to finish at 6,407.6. 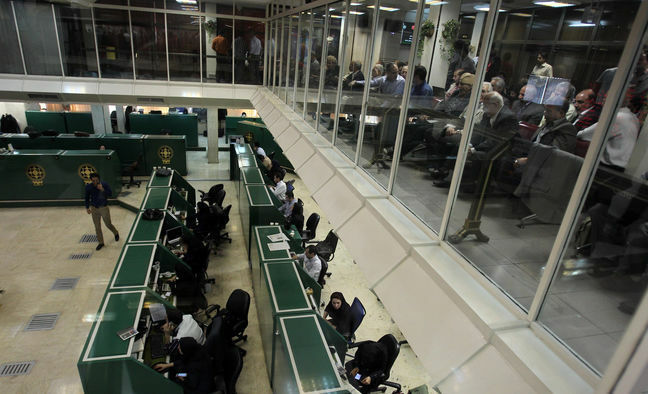 Iran Fara Bourse’s main index IFX gained 5.8 points or 0.34% to close Tuesday trade at 1,692.13. About 1.06 billion securities valued at $42.65 million were traded at the over-the-counter exchange for the day. Esfahan Steel Company had the highest number of traded shares and trade value, as 166.66 million of its shares worth $3.16 million changed hands. Ghasem Iran Company, Balast Company and Ghadir Petrochemical Company registered the highest value increase. MobinOne Kish Company, Pegah Golpayegan Dairy Company and Pasargad Oil Company suffered the biggest decline. Esfahan Steel Company, Hormozgan Steel Company and Middle East Mines Industries Development Holding Company had the most positive impact on IFX.